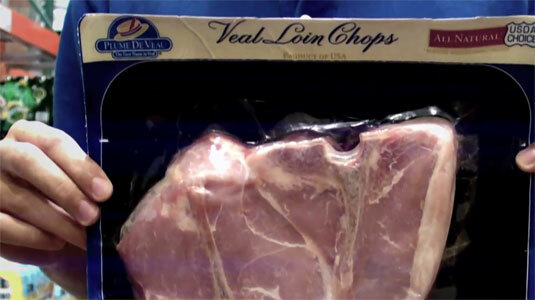 The veal is sold in some East Coast stores, and is not sold in the Pacific Northwest. It is labeled under the brand Plume de Veau and supplied by a company called Atlantic Veal and Lamb of New York. Costco will not be stopping shipments of the product, but has tightened their policies. It will be interesting to see what happens with all this. More info is available at the Seattle Times. The video is below, produced by Mercy for Animals. Note: the video is very graphic. The YouTube link has been removed due to its graphic nature. of course they chain them up. Do you really want your dinner wandering around aimlessly?